Asbestos Surveys in Hampshire | Crucial Environmental Ltd.
Do you need help with asbestos in Hampshire? Crucial Environmental is a highly experienced and dedicated team of asbestos professionals based in the South East and we would be happy to provide you with any asbestos services that you require. We are regularly called in by businesses and homeowners across the county to conduct asbestos surveys as well as sampling, removal and waste collection, and we would be delighted to do the same for you. Accredited to BS EN ISO/IEC 17020 by UKAS to undertake both Management and Refurbishment & Demolition Surveys in accordance with current HSE guidelines, our team holds some of the most experienced and knowledgeable asbestos staff in the area. You can contact our team directly by calling 01903 297818 – we are happy to provide impartial advice and guidance, and can arrange a site visit for a survey or an initial inspection. From Southampton to Winchester, towns and cities across Hampshire have commercial and industrial properties that contain asbestos. Due to the Control of Asbestos Regulations 2012, it is a requirement that owners of commercial buildings must have an asbestos management plan in place, and if you need to have one created, your first step should be to have an asbestos survey carried out. We are regularly called to conduct surveys in non-residential buildings in Hampshire – our reports provide the information needed to compile a management plan. For those businesses carrying out refurbishment works or demolition, we provide surveys to establish the extent of asbestos within the structure of a building. This allows you to move ahead with your planned works safely. Any home built before 2000 could contain asbestos, and this can be very difficult to know without having a full asbestos survey carried out. If you are concerned that you may have asbestos in your home, we would be happy to come round to test it and provide you with advice on your next steps. 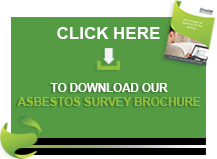 Alternatively, if you are interested in purchasing a property we also offer homebuyer asbestos surveys to check for the presence of asbestos. If asbestos is found we can give you an understanding of the costs for any necessary remedial works. If you are based anywhere in Hampshire and are having asbestos problems, the team at Crucial Environmental can help you. We have the experience and expertise to deal with any kind of asbestos and we would be happy to come and provide assistance to you. Get in contact with us by calling 01903 297818 to speak to a friendly member of the team. Alternatively, you can email info@crucial-enviro.co.uk and we will get back to you as soon as possible.